save 50% off all Capture One Sony and Capture One Fujifilm Products! The offer will be valid until March 31st, 2019 and it will be available on the Phase One Webshop! Reason 1: Capture One has the best Raw format parsing algorithm. Reason 2: Capture One has the best tethered shooting features (preferred by commercial photographers), which even supports displaying photos on iPhone or iPad. In this way, you can show photo to models easily. In addition, Capture One’s tethered shooting feature supports most of the main-stream brands, including Sony, Nikon, Canon, etc..
Reason 3: Capture One is better at managing keywords and metadata. 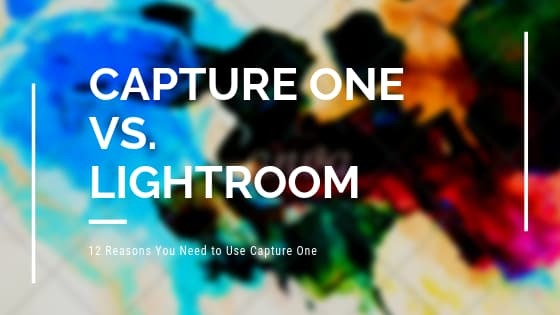 Reason 4: Compared with Photoshop and Lightroom, Capture One provides another way of photo post-processing. In my opinion, the cost of studying Capture One is lower than that of Lightroom. Reason 5: Capture One’s noise control is better than Lightroom. Reason 6: Capture One provides white balance feature. Reason 7: If you have a powerful computer, Capture One processes photos more quickly than Lightroom. Reason 8: When importing photos to computer with Lightroom, it takes lots of time, and creates more useless files which occupy a bunch of hard drive space. Reason 9: With Capture One you can create your own ICC profile. Reason 10: Capture One allows you to immediately see the focus part of the image, a bit like the peak of a photo. Reason 11: Capture One allows you to change any color detail with the color editor. Reason 12: Mole removal and spot removal features are outstanding. There are four versions: Capture One Pro, Capture One Pro for Sony, Sony Express, and the DB version. Functionally, Capture One Pro, Capture One Pro for Sony and DB versions are all the same. However, there is a difference in camera support. Capture One Pro supports the RAW files from all main-stream cameras in the market, including Canon, Nikon, Sony and other brands. To check if Capture One supports your camera, you can visit the Capture One website at this page. Capture One Pro for Sony and Sony Express were jointly launched by Sony and Phase One in 2015 or 2016 (I can’t remember the exact time). The Express version can be regarded as a lite version of the Pro, lacking features like tethered shooting, color editor (advanced) and more. Capture One Pro supports simultaneous activation of three computers, while the Sony Express edition supports simultaneous activation of two computers. DB version for the digital back, Phase One digital back and mamiya Leaf series digital back users can use it for free. If Lightroom and Photoshop are a low-order and high-order relationship, Capture One seems to be somewhere between Lightroom and Photoshop for me. It can do more than Lightroom, but if you want to move into more professional area, you still have to use Photoshop. It is able to do a lot more than Lightroom: tethered shooting, adjust exposure and white balance, blend colors, and more. Basically, a large number of commercial photographers are using Capture One to work.